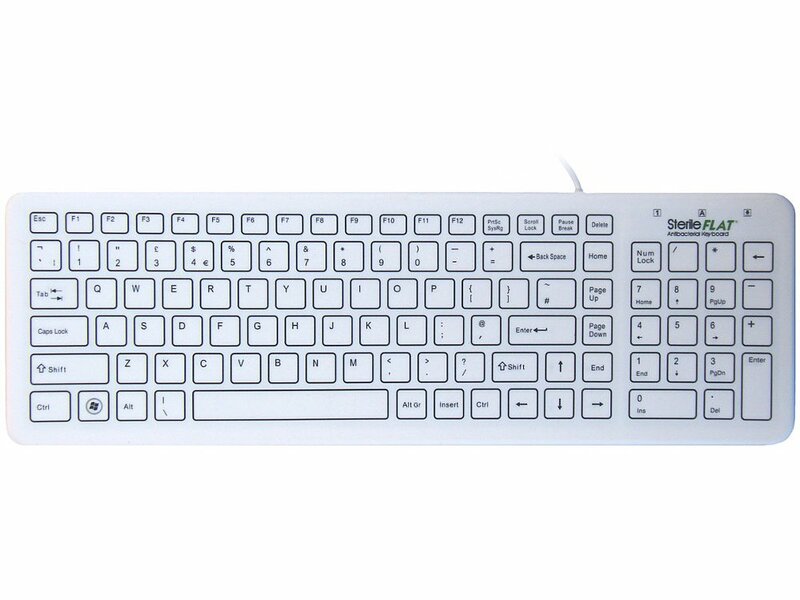 The SterileFlat Medical Keyboard is an invaluable tool in reducing the risk of cross infection in any medical environment. It will greatly assist in reducing Healthcare associated infections (HAI). Infections that are acquired in hospitals or as a result of healthcare interventions. 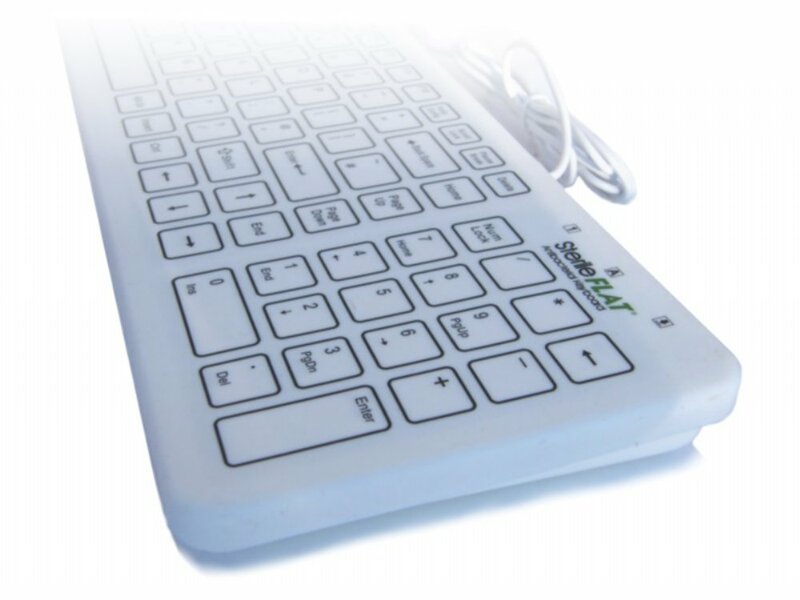 The SterileFlat Medical Keyboard offers a conventional style keyboard with an impregnated Nano Silver Antibacterial silicone membrane barrier, which can be used in all areas of clinical and medical environments.